BASF (Ludwigshafen, Germany) plans to build a compounding plant for polyamide (PA) and polybutylene terephthalate (PBT) compounds in Yesan, Chung Nam Province, Korea. Construction of the plant is slated to begin by the first half of 2014 and operations from the end of 2015. With an initial annual capacity of 36,000 tonnes, the new plant will more than double the total compounding capacity of BASF’s engineering plastics in Korea. With this project and the capacity expansion of BASF´s compounding plant in Pudong/Shanghai (China), BASF’s overall compounding capacities in Asia will increase from the current 130,000 to a total of 225,000 tonnes/annually. Similar to BASF’s compounding plant in Ansan, Korea and other Asian locations, the new plant in Yesan will produce Ultramid PA and Ultradur PBT compounds. Ultramid and Ultradur are used, for example, in automotive parts as well as the electrical and electronics industry. 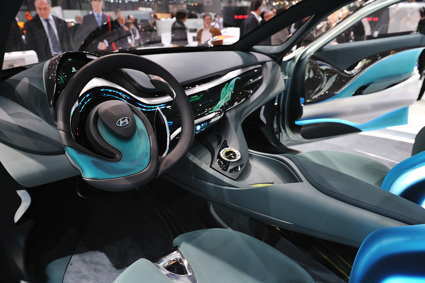 Applications include seat structures, oil sump modules, sensors, engine mounts, connectors and highly integrated laser-structured electronic devices. BASF expanded its Ansan compounding plant by 13,000 tonnes per year in 2011, taking capacity to 30,000 tonnes/year. Previously, BASF announced that it would more than double the compounding capacity of engineering plastics by 65,000 tonnes per year at its Pudong site. Phase one of the expansion was scheduled to be completed by 2013, with the second phase by 2015. Prior to the expansion, the Pudong site had capacity of 45,000 tonnes/year. In addition to the compounding plants in China and South Korea, BASF has similar compounding facilities in Malaysia and India.